NIH Director Francis Collins, along with the leaders of NIH’s institutes, centers, and offices, have written a letter emphasizing their continuing commitment to basic science. Despite past assurances to this effect (e.g., Collins 2012), the NIH leadership is concerned that the community may feel that NIH has moved away from basic research. The letter, which was published in the March 25 issue of the journal Science, rejects the notion that “NIH’s interest in basic science is flagging” (Collins et al. 2016). There are reasons to suspect that investigators may be the ones moving away from basic research applications. A 2014 analysis by the National Institute of Neurological Disorders and Stroke, for example, did observe a “gradual and significant decline in the number of basic grants awarded between 1997 and 2012,” but found this was due to a decrease in submissions of basic research applications; in fact, basic grant applications did better in peer review than applied research proposals (Landis 2014). 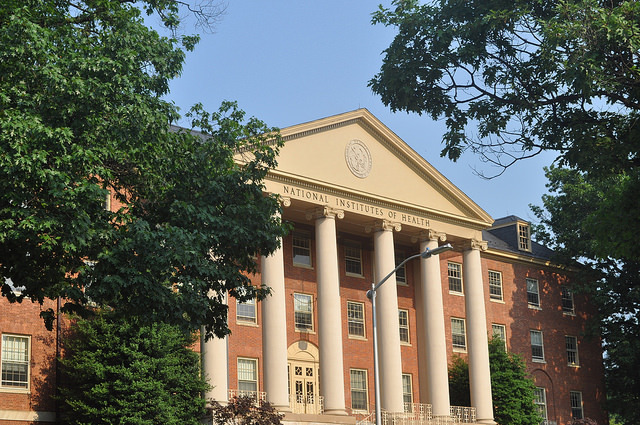 GSA welcomes your thoughts on support for basic research at NIH and other federal agencies. S. Landis. (2014). “Back to Basics: A call for fundamental neuroscience research.” NINDS blog, March 27, 2014. We have been fighting a war of perception. At my institution they want the outcome to directly impact the needs of the community. Our leasdership favors translational research despite the multiple statements from NIH that to the contrary Dr. Berg published a draft of a position paper defining impact as progress made in our area of interest. But louder internal voices prevail and tell PIs to collaborate in translational efforts! So PIs think that is where the money is! As our university President said “the days of the ivory tower are over”. I think I am the last tenent of the tower!